Battle to find the children of Coldwind Valley before Frostval! 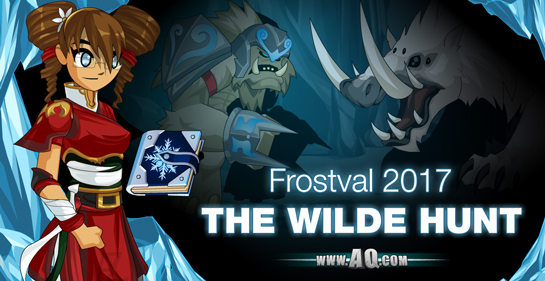 Frostval is a time of music, magic, and… missing boys and girls?! The children of ColdWind Village’s human, moglin, and Yeti tribes have mysteriously disappeared. If we don’t find them soon, this holiday will be their last! Log in this weekend and fight to get bring them home in our new 2017 Frostval holiday event! If you journey down the /snowpath to Frostvale, you'll find an enchanted Snowman waiting for you. But beware -- this isn't some friendly, gift-giving creature. This is an ice-cold monster under a deadly enchantment. This Friday, battle Frosty for a chance to get an all-new armor set and helm, then /equip your new gear and head into Cold Wind Valley.